As Western politicians and other talking heads insist that the Islamic State ("ISIS") has "nothing whatsoever to do with Islam," not only does ISIS correctly implement Islamic law—whether by demanding jizya from subjugated Christians or by sexually enslaving "infidel" women—but even the "caliphate's" arcane jihadi tactics belong to Islam. The children who managed to escape describe how they were indoctrinated into the jihadi group's radical brand of Islam and taught that they should execute their "unbeliever" [infidel] parents.... "We weren't allowed to cry but I would think about my mother, think about her worrying about me and I'd try and cry quietly," he [an escapee] said... Some children who managed to escape ISIS and are now living in the refugee camps in northern Iraq, have also been left badly psychologically scarred. The repeated beatings and endless propaganda have meant that some of the escapees wake up in the night with nightmares while others suffer seizures. The report goes on to say that "The growing trend for ISIS to use child soldiers as suicide bombers, particularly in Iraq, has been suggested as a sign of how stretched their resources are in the region." 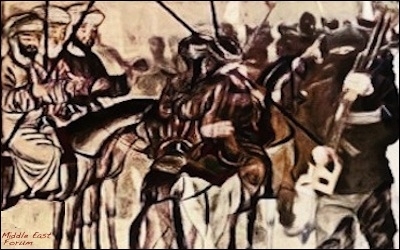 The tactics employed by the Islamic State and other jihadi outfits permeate Islamic history. That this practice is Islamic is evident in that other modern day Muslims—not just ISIS—follow it. In 2012, 300 Christian children were abducted and forcibly converted to Islam. After convincing impoverished Christian families in Bangladesh to spend what little money they had to send their children to study at supposed mission hostels, conmen would "pocket the money" and "sell the children to Islamic schools elsewhere in the country 'where imams force them to abjure Christianity.'" The children are then instructed in Islam and beaten. After being fully indoctrinated, the once Christian children are asked if they are "ready to give their lives for Islam," presumably by becoming jihadi suicide-bombers. The West would not be oblivious to this "new" Muslim tactic—erroneously concluding that it means ISIS has "stretched its resources"—if it had Islamic studies departments that disseminated facts instead of pro-Islamic myths and propaganda. As with all unsavory aspects of Islamic history, this institution has been whitewashed. Although young, terrified boys were seized from the clutches of their devastated parents, the mainstream (but otherwise debunked) narrative is that poor Christian families were eager to see their boys taken to the caliphate where they would have a "bright future." Portraying uniquely negative aspects of Islamic doctrine and history as uniquely positive aspects is par for the course. For example, the Islamic institution of jizya—extorting money from subjugated Christians and Jews often on pain of death—is presented by academics such as Georgetown University's John Esposito as a show of "tolerance" (debunked here). Because Western knowledge of Islam has been subverted by the "scholars"—especially those funded by petrodollars—ISIS and other Muslims are free to practice any number of distinctly Islamic tactics that appear "novel" to the West. It is permissible for you to wear a necklace showing a Christian cross. As you know, Christians—or even atheist Westerners with Christian background—wear crosses on their necklaces. But don't wear a cross necklace if you have a Muslim name on your passport, as that may look strange. Considering Islam's well-known enmity for the Christian cross, the depth of deception here should be clear. Because the West refuses to acknowledge Islam's true doctrines and history, it fights jihadis blindfolded and blindsided. Crypto-Muslims (or Moriscos) pretending to be Christian, but secretly working to subvert Spain back to Muslim rule, were a continual source of danger for centuries. While the Spaniards knew that Islam prevented Muslims from being loyal to Christian rule, after the Reconquista they also learned that many Muslims who had publicly converted to Christianity—going to church and participating in baptism and communion—were crypto-Muslims working for the victory of Islam, including by revolting with the aid of foreign Muslims, such as the Turks. As a result, Islam was expelled from Spain (even as ISIS and other Muslims vow to return as conquerors). Yet because this historical event is now portrayed as an example of extreme Christian intolerance—the flipside of Western academia's devotion to whitewashing Islam is its devotion to demonizing Christianity—another valuable lesson from Christian/Muslim history is lost. The tactics employed by the Islamic State and other jihadi outfits—from abducting and indoctrinating Christian children to be "martyrs for Islam" to acting Christian, going to church, and wearing crucifixes—permeate Islamic history. But because the West refuses to acknowledge Islam's true doctrines and history, it must ever confront the jihad blindfolded and blindsided.